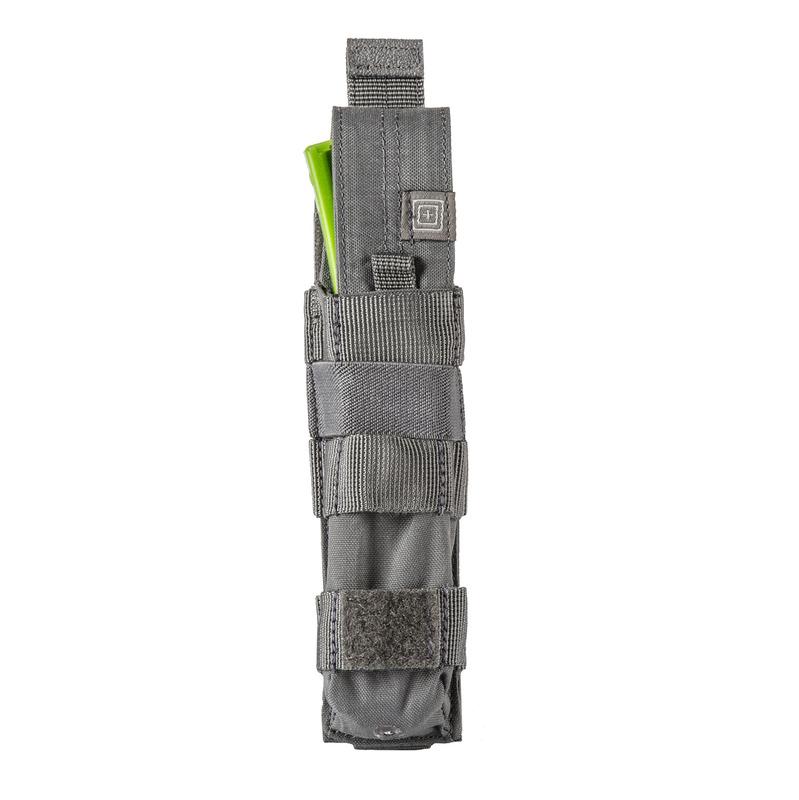 The Bungee/Cover is MOLLE compatible, meaning you can customize it for any tactical task. Single-mag capacity provides a convenient and secure storage solution in a slim profile, which permits you to quickly and easily stack with other 5.11 cover pouches. Select your desired retention method with traditional cover flap and accelerated bungee cord options. Built-in elastic compression guarantees secure, stealthy use. Built with Duraflex® hardware for dependable operation. Water-resistant coating and non-slip tabs guarantee dependable access, even in wet conditions. 7¼" x 1½" L x 1¼"